Here are top selected products for "Ceiling Fans"
Beat the summer heat with the coolest range of ceiling fans available at Snapdeal by brands like Bajaj, USHA, Orient, Luminous and other such best ceiling fans brands. You can find quite a lot of designer fans in these ceiling fans on our website, right from the ones with decorative trims on motor covers to the aesthetically crafted fans inspired by the smooth flowing floral designs. These ceiling fans can turn out to be quite an addition to your home’s decor given to their beautiful appearance. With efficient & power saving motors, these ceiling fans have the reputation of delivering optimum performance even at extremely low voltages. You can find them in an array of colours on our website. You can buy ceiling fans from our website at the most slashed down prices. 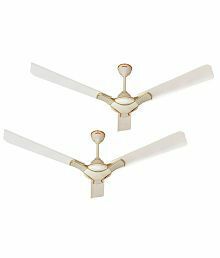 A lot of discounts could also be availed on these amazing ceiling fans thereby letting you to save big on your purchase. 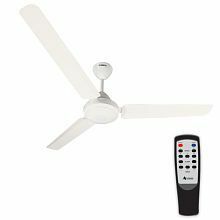 What are the best brands of ceiling fans? Which ceiling fan is best for home? 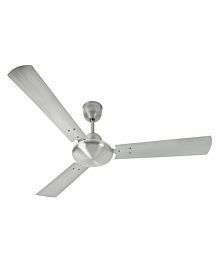 What is the rate of ceiling fan?